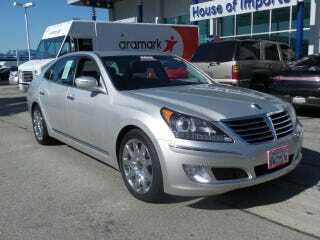 2011 Equus for $14,887. It has 110,331 miles on it. Clean Carfax with it only having had 2 owners. The first owner had it as a personal lease. The Second owner had it for 2 years and only put 18,560 miles a year on it. Its at a Mercedes dealer which I’m pretty sure means it was a trade, probably for an S Class or something. I haven’t heard anything negative about the Equus, even on the owner forums, especially when it comes to reliability. There was some electrical things but as it was few and far in between. Nothing major with the powertrain. I love these things, especially considering what you get for the price in comparison to the competition. The one thing people had a problem with was the rather bland invisible styling. But anyway, is this a good buy?